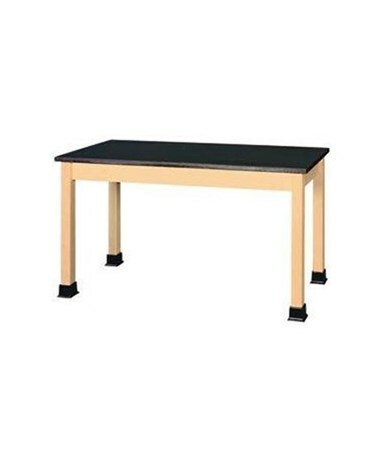 The Shain Plain Student Table is a minimalist but sturdy table. Its base is made of solid maple and is bolt reinforced to ensure durability and long-lasting performance. It has a fixed height of 30 inches. 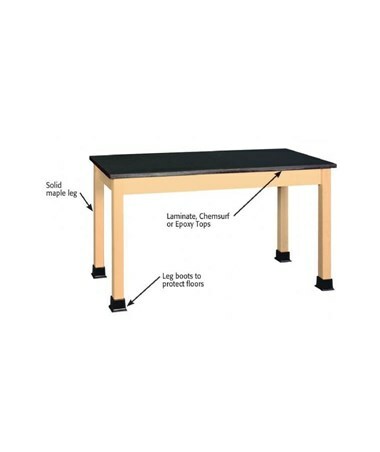 This plain student table comes in two tabletop lengths: 54”L and 60”L. Its black Melamine tabletop offers two types of coatings. 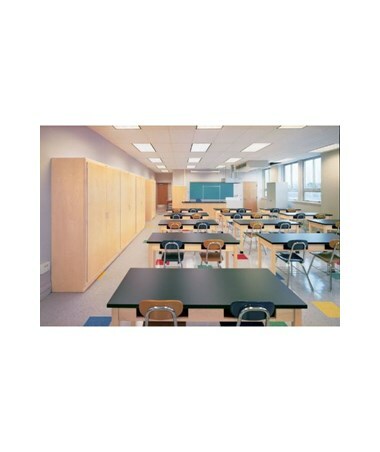 Choose between one-inch epoxy resin top or 1¼-inch plastic laminate top. Both provide a sleek and glossy appearance. 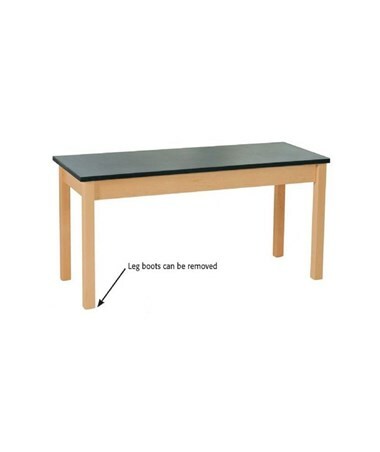 The Shain Plain Student Table features black removable leg boots. This is to protect floors from unwanted scratches. 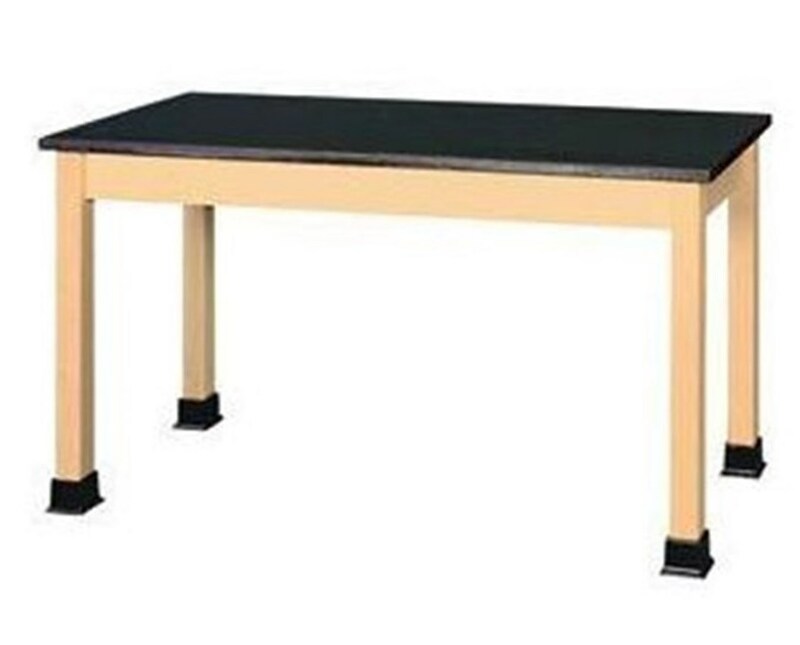 The Shain Plain Student Table comes in two tabletop lengths and coatings. Please select your preference from the drop-down menu above.